The identities of the organization that oversees the IMF and the government it works for are never revealed. Only rare cryptic bits of information are ever provided during the life of the series, such as in the third season mission "Nicole", where the IMF leader states that his instructions come from "Division Seven". In the 1980s revival, it is suggested the IMF is an independent agency (as the FBI can only legally operate within the United States and the CIA can only operate outside the country). 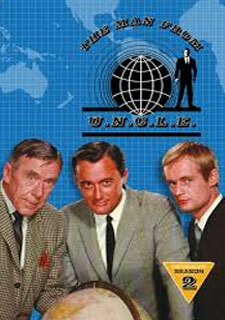 In the first motion picture, unlike the TV show, the IMF is depicted as part of the CIA. 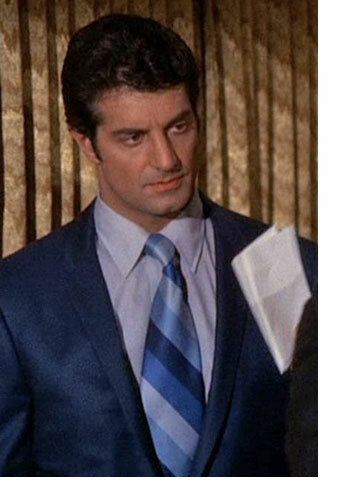 The leader of the IMF is initially Dan Briggs, played by Steven Hill (left). As an Orthodox Jew, Hill had to leave on Fridays at 4 p.m. to be home before sundown and was not available until after dark the next day. Although his contract allowed for filming interruptions due to religious observances, the clause proved difficult to work around due to the production schedule and as the season progressed, an increasing number of episodes featured little of Dan Briggs. Hill had other problems as well. 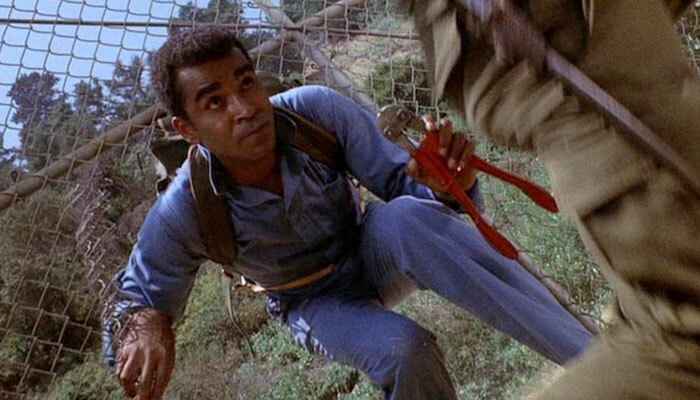 After cooperatively crawling through dirt tunnels and repeatedly climbing a rope ladder in the episode "Snowball in Hell," in the following episode ("Action!") he balked at climbing a stairway with railings and locked himself in his dressing room. Unable to come to terms with Hill, the producers re-shot the episode without him (another character, Cinnamon Carter, listened to the taped message, the selected operatives' photos were displayed in "limbo", and the team meeting was held in Rollin Hand's apartment), and reduced Briggs' presence in the five episodes left to be filmed to a minimum. As far as Hill's religious requirements were concerned, line producer Joseph Gantman simply had not understood what had been agreed to. He told author Patrick J. White, "'If someone understands your problems and says he understands them, you feel better about it. But if he doesn't care about your problems, then you begin to really resent him. 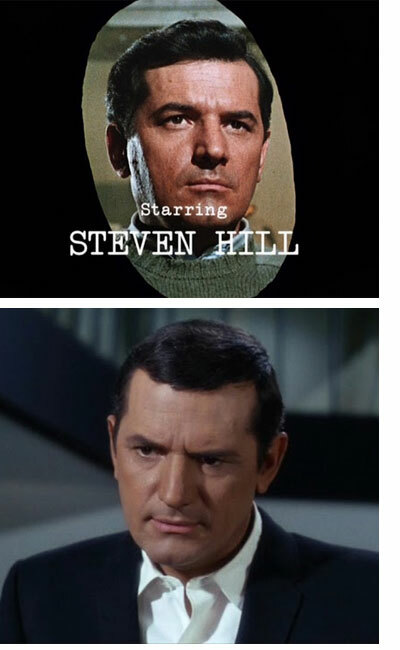 Steven Hill may have felt exactly the same way". 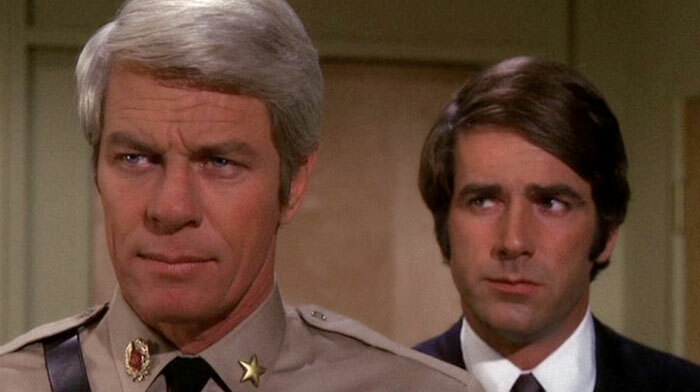 Hill was replaced without explanation to the audience after the first season by Peter Graves (right) playing the role of Jim Phelps, who remained the leader for the remainder of the original series and in the 19881990 revival. 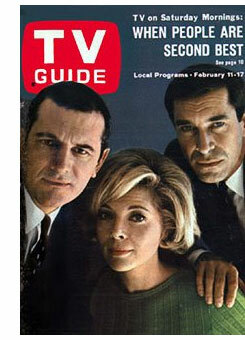 Martin Landau was billed as a "special guest star" during the first season; he had been cast as a guest star for the pilot with the understanding that he would be one of four or five rotating guest star agents. 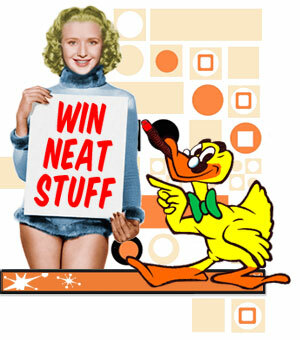 His contract gave producers an option to have him "render services for (three or four) additional episodes". 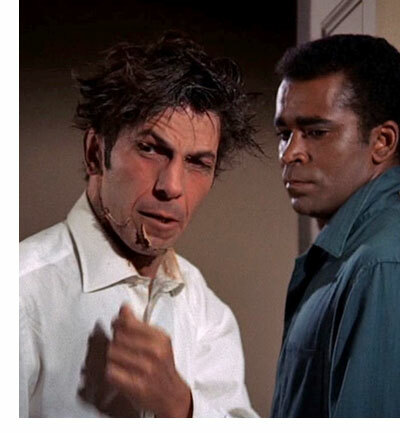 To fill the void left by Hill's Sabbath absences, producers wound up using Landau for more episodes, always as a "guest star". 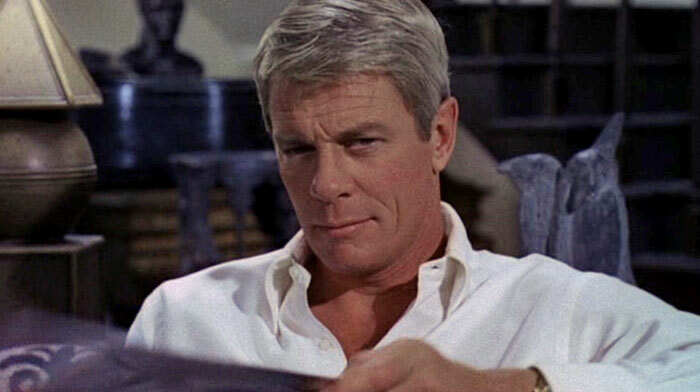 He eventually struck a deal to appear in all the first season's remaining episodes, but always billed as a "guest star" so that he could have the option to give notice to work on a feature film. Landau contractually became a series regular in season two. As actors left the series during it's run, others became regulars. Replacements often possessed the same skills as their predecessors. 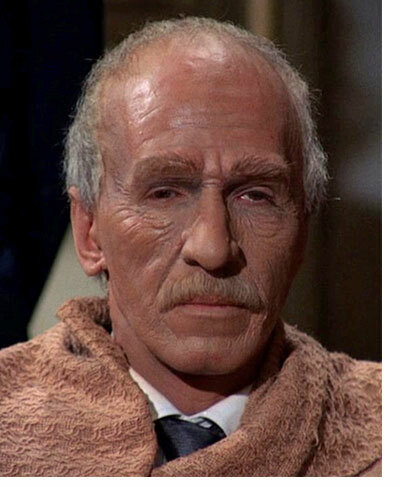 For example, "The Great Paris" (Leonard Nimoy), Roland Hand's replacement in the fourth and fifth seasons, is also an actor, make-up artist, magician and "master of disguise." Also seen in seasons five and six is Dr. Doug Robert, played by Sam Elliott (according to White, the character was introduced as a replacement for Willy, but the idea was dropped once the producers realized how popular Willy was with viewers). Cinnamon's "replacement" in season four was a series of guest stars, only one making more than one appearance: Lee Meriwether as Tracey. Season five saw the addition of Dana Lambert, played by stage and movie actress Lesley Ann Warren (billed as "Lesley Warren"). In seasons six and seven, the female member of the team was cosmetologist and mistress-of-disguise Lisa Casey (Lynda Day George), whose first name was only established in the 19881989 revival. 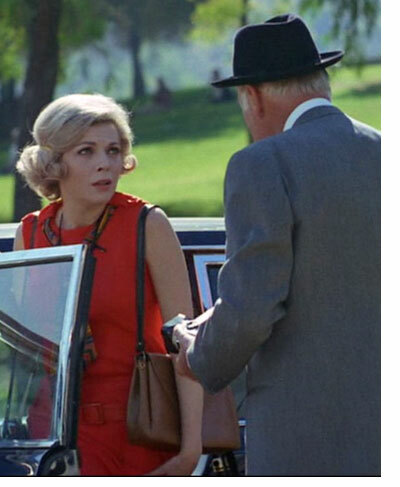 She was replaced in a third of the total season seven episodes, during her maternity leave, by Mimi Davis, played by Barbara Anderson, who had just come from the show Ironside. Although a Cold War subtext is present throughout the series, the actual Cold War between the United States and the Soviet Union is rarely mentioned over the course of the series. However, in the early years, specific locations behind the Iron Curtain are named (such as Lubyanka prison in the episode "Memory") and many of the targets appear to be leaders of fictional Slavic countries. Major named enemy countries include the "European People's Republic" and the "Eastern European Republic". Additionally, real languages spoken in Eastern Europe are used. In the Season One episode "The Carriers," one of the villains reads a book whose title is the (incorrect) Russian Na Voina (About War); police vehicles are often labelled as such with words such as "poliiçia", and "poIiia", and a gas line or tank would be labelled "Gaz" which is a Romanian translation. This "language", referred to by the production team as "Gellerese", was invented specifically to be readable by non-speakers of Slavic languages. Their generous use of it was actually intended as a source of comic relief. Uniforms of the target regime frequently include peaked caps, jackboots, and Sam Browne belts, hinting at connections with Nazi Germany or the Warsaw Pact. The IMF is also assigned to bring down corrupt politicians and dictators of Third World countries uninvolved in the Cold War, such as a particularly brutal practitioner of apartheid, or corrupt Central or South American nations, as well as organized crime figures, corrupt businessmen and politicians in the US. In two different first-season episodes, the mission is to stop the revival of the Nazi Party in Germany. Both episodes had Rollin Hand (played by Jewish actor Martin Landau) impersonate a leading Nazi figure  Martin Bormann in one case  in a successful effort to stop the revival. In season two, Hand would successfully impersonate Adolf Hitler in another mission to stop the revival of the Nazi Party in Germany. 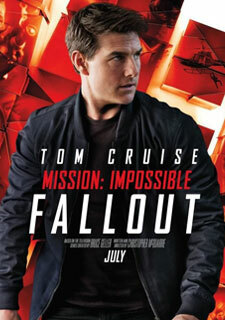 Mission: Impossible is noted for its format, which rarely changed throughout the series. Indeed the opening scenes acquired a ritualistic feel, befitting the "quasi-official" aura the program sought for the clandestine operations. Each title sequence started with a fuse being lit. As the fuse burned across the screen, clips from scenes in the current episode were shown. This was followed by credits introducing the actors. Throughout the title sequence, only the show's theme song could be heard. 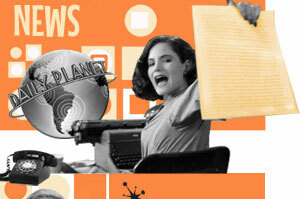 Most episodes begin with the leader of the IMF getting the assignment from a hidden tape recorder and an envelope of photos and information that explains the mission. Next we would see Briggs or Phelps in a fancy apartment, retrieving an oversized, leather-bound dossier folder from a locked drawer. Inside this folder were plastic-wrapped dossiers (usually featuring standard 8×10 "glossies" of the respective actors) of the available IMF agents. Briggs/Phelps would toss the selected agents' dossiers onto a table. Most of the never-chosen dossiers were photographs of various series staffers and their wives, including Mr. and Mrs. Bruce Geller. 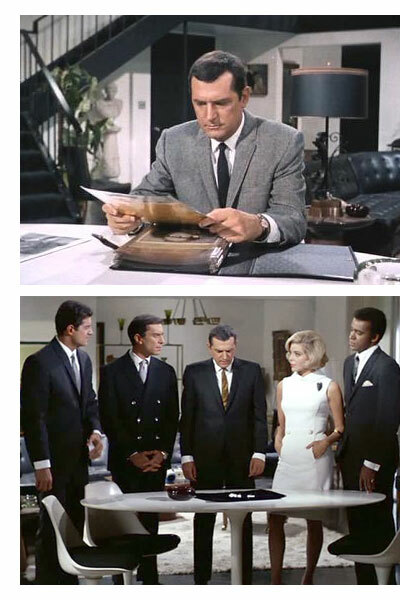 A contemporary article in TV Guide claimed that many of the photos put aside in the "dossier scene" were of studio and network executives and that it was considered a measure of one's status in the studio and network hierarchies to appear there. 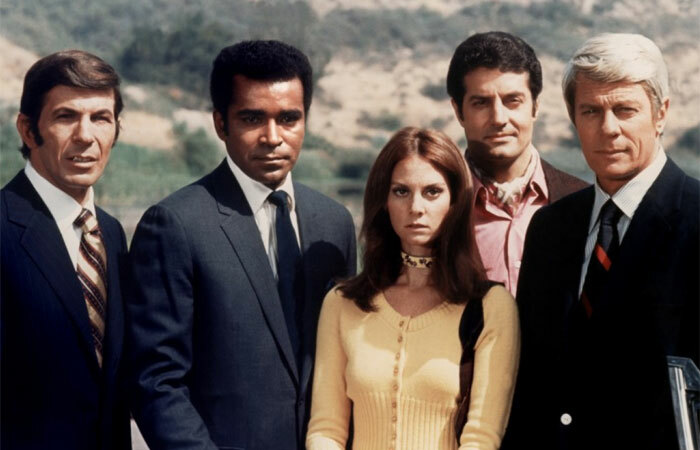 In later seasons, the team was much more stable, consisting of the regular cast for the season, and the use of guest agents became markedly less frequent. 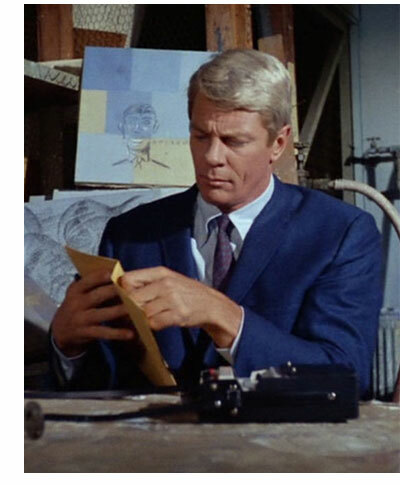 Numerous dossier scenes from the Peter Graves episodes feature Jim poring through the photographs, only to once again choose the series regulars that had just been shown in the opening credits. 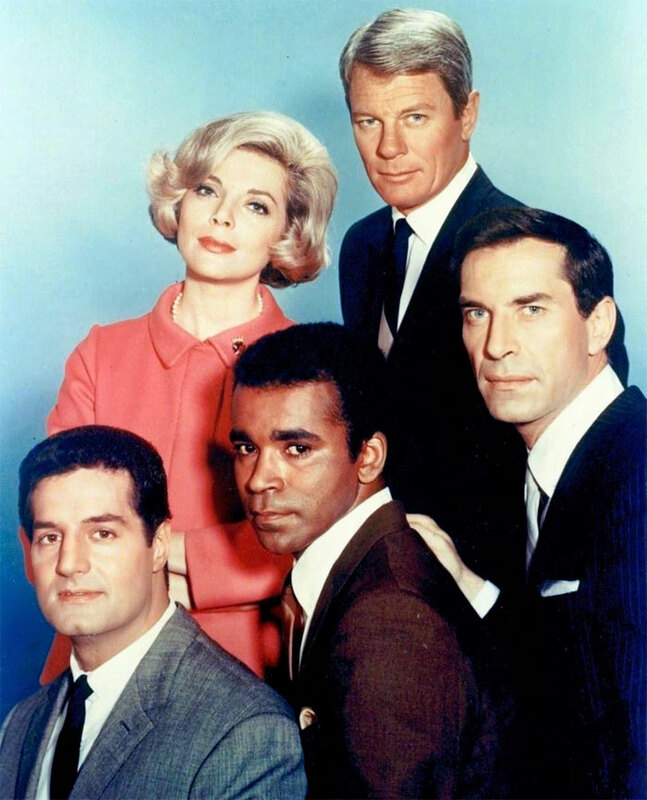 By the third season, the dossier scene had been deemed somewhat disposable, appearing only when needed to introduce a guest agent. 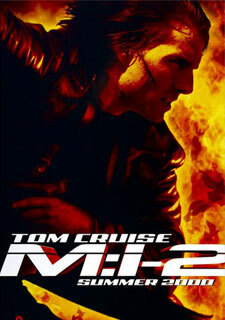 The first mission submitted by the Secretary that did not have the dossier scene was the last mission of the second season, "The Recovery". After a period of being seen only occasionally, the dossier scene was seen again frequently in season four, due to the lack of a regular female team member in that season. It was dropped entirely as of season five. In the third segment of the opening act, the team would next be shown convening for their final briefing in the leader's apartment. Although the series was shot in color, the apartment had a color scheme composed of black, white, and shades of gray, such that the apartment was sometimes referred to off-camera as the black-and-white room. 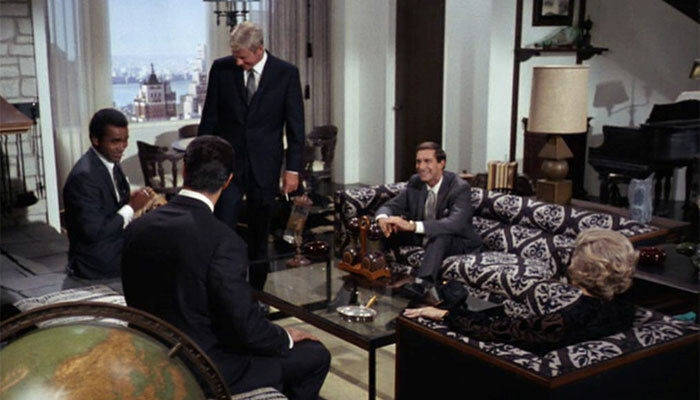 Steven Hill once suggested that an American flag be placed on a wall of Briggs' apartment, but Bruce Geller vetoed it in order to maintain the color scheme. 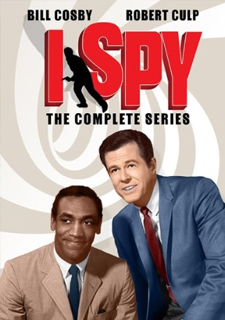 Two exceptions are the first season episodes, "Operation Rogosh", when the team immediately springs into action to capture their target in a staged auto accident, and the episode "Action! ", where the team meeting took place in Cinnamon Carter's apartment. 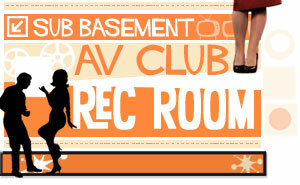 During the fifth season, the producers decided to drop the dossier scene and phase out the tape and apartment scenes. 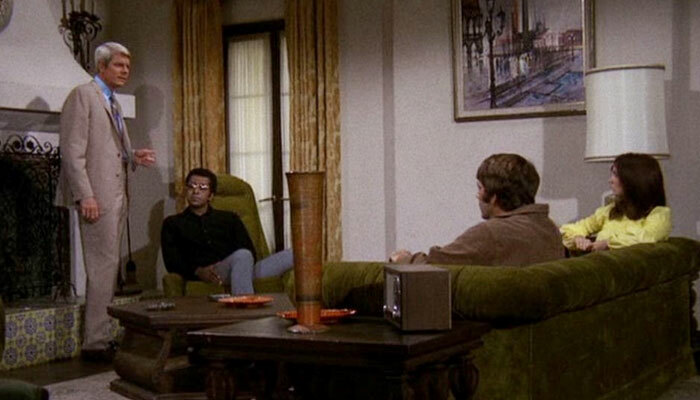 By the end of the season, however, it had been decided to keep the tape and apartment scenes, but the dossier-choosing scene was eliminated for the rest of the series run. 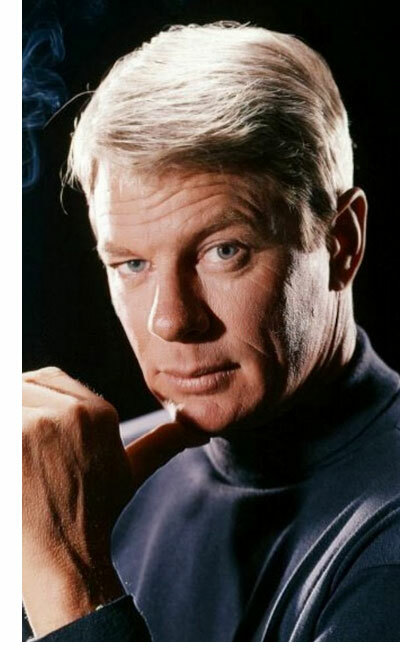 The 1980s revival reinstated the "dossier scene" in the first episode, when Phelps selects his new team, but since he keeps the same team in subsequent episodes, no subsequent dossier scenes were made. The episode then depicted the plan being put into action. This almost always involved very elaborate deceptions, usually several at the same time. Facilitating this, certain team members are masters of disguise (Nimoy pictured above), able to impersonate someone connected to the target or even the target himself. This is accomplished with realistic latex face masks and make-up. Some impersonations are done with the explicit cooperation of the one being impersonated. Also bona fides would be arranged to aid infiltrating the target organization. 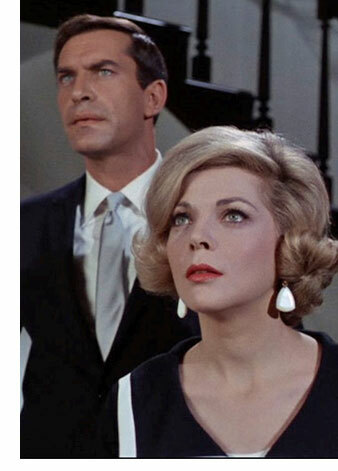 In some cases, the actor playing the IMF agent also portrayed the person to be impersonated (this most frequently occurred during Martin Landau's tenure on the series, notably in the pilot) or the voice of the person being impersonated was dubbed. In other cases, a guest star would play the dual role of both the original and the imposter (Rollin, Paris, or Casey). Sometimes one or more IMF team members would allow themselves to be captured in order to gain more access to or knowledge of the organization they are infiltrating, either by conversing with the target or being held in a jail cell and hatching their plan there. 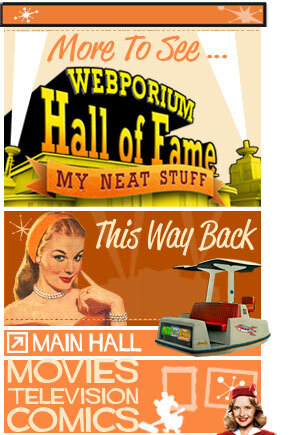 Various other technological methods are commonly used as well. 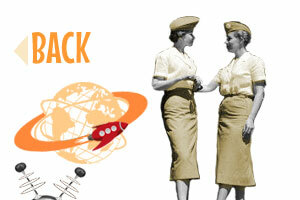 The team would often re-route telephone or radio calls so these could be answered by their own members. Faked radio or television broadcasts are common, as are elevators placed under the team's control. In some missions, a very extensive simulated setting is created, such as a faked train journey, submarine voyage, aftermath of a major disaster, or even the taking over of the United States by a foreign government. A particularly elaborate ploy, used on more than one occasion, sees the IMF working to convince their target that several years had passed while the target was in a coma or suffering from amnesia. 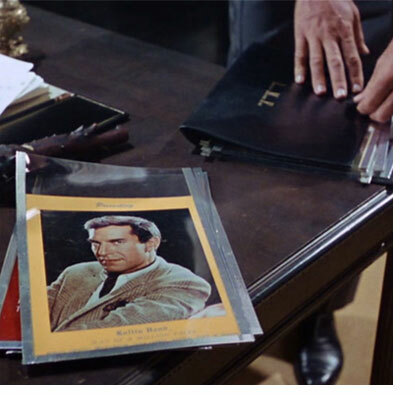 In one episode, the IMF even convince their target (an aging mobster played by William Shatner) that time has somehow been turned back more than thirty years and he is a young man again. "As always should any member of your IMF force be caught or killed, the secretary will disavow all knowledge of your actions. This tape will self-destruct in five seconds. Good luck, Jim." 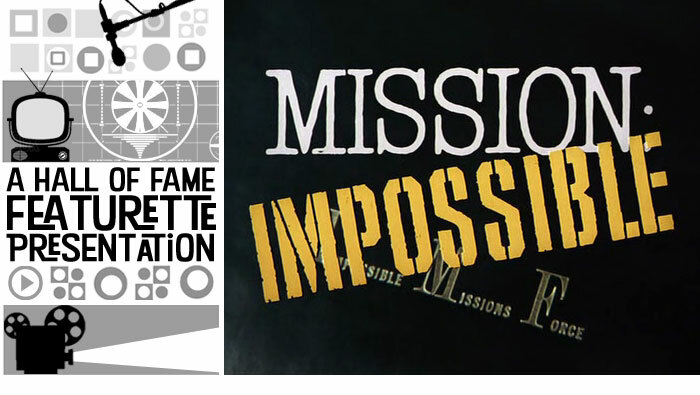 Here are the opening credits to the Mission: Impossible TV series. 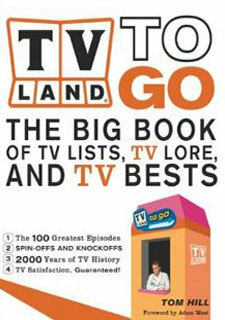 The original series was filmed almost exclusively around Hollywood and the Los Angeles Basin. The series opener was held at the Griffith Park Observatory with special guest star Wally Cox. Pasadena and the Caltech campus were common locations. Another noted location was the Bradbury Building, used in other films and series (from The Outer Limits to Blade Runner). During the final season, most of the exterior shots are of San Francisco, including the City Hall building and Opera House. The later revival series (1988-1990) was shot entirely in Australia, although it purported to have Phelps living in San Francisco. In most cases, the action lasted right up to the final seconds, with the episode ending in a freeze frame as the IMF team make their escape, another successful mission concluded. Most often they leave in a nondescript panel truck. A dramatic device frequently used at the end was the sound of a gunshot or a scream in the distance as the target is killed by his associates, while the IMF team make their getaway. 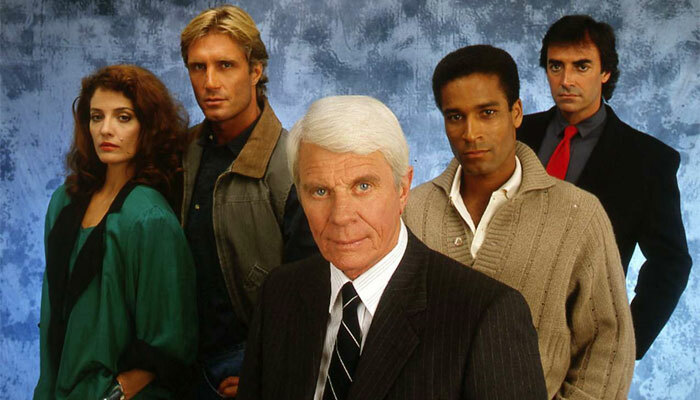 In the 1980s revival, this format was altered with the addition of a tag scene showing the IMF team regrouping (often still in disguise) and walking away. The main theme was composed by Argentine composer, pianist and conductor Lalo Schifrin and is noted for being in 5/4 time. 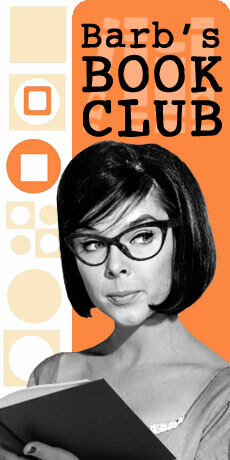 About the unusual timing, Schifrin declared that "things are in 2/4 or 4/4 because people dance with two legs. I did it for people from outer space who have five legs." 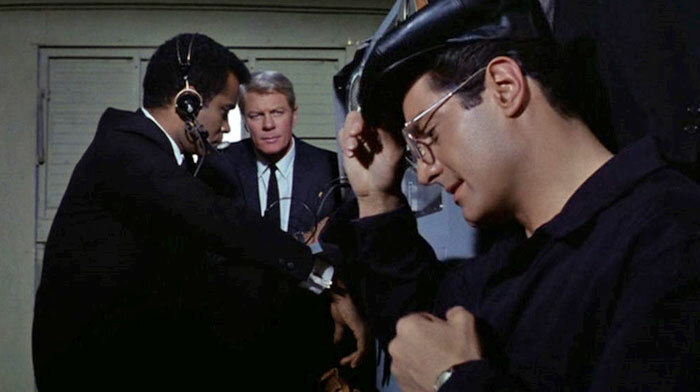 "The Plot" was also composed by Schifrin, who scored three episodes in the first season and went on to score at least one or two episodes for most of the other seasons (season two is the only one to have no Schifrin-scored episodes, in part because he was helping to launch Geller's new series Mannix). 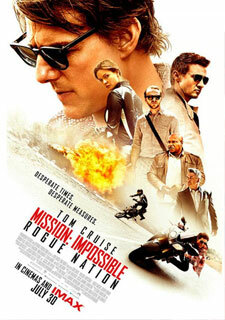 Mission: Impossible is still recognized for its innovative use of music. Composer Lalo Schifrin wrote several distinctive pieces for the series. Most episodes included fairly long dialogue-free sequences showing the team members, particularly electronics expert Barney Collier, making technical preparations for the mission, usually to the accompaniment of "The Plot." 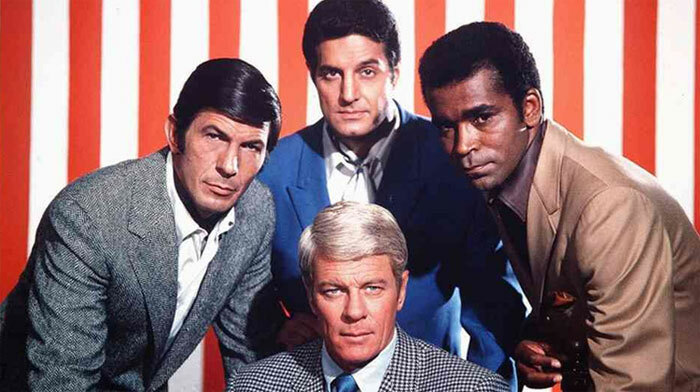 Lalo Schifrin also wrote a theme piece for each main character and the sound track for each episode incorporated variations of these throughout. 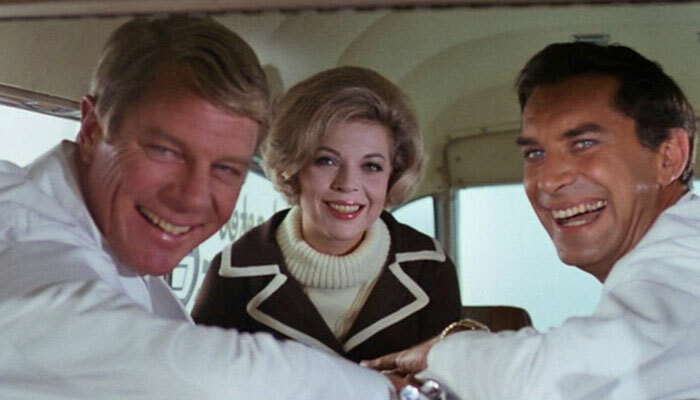 Even when an episode's score is credited to some other composer, Desilu's music supervisor Jack Hunsacker would re-edit it, adding Schifrin melodies from the library. 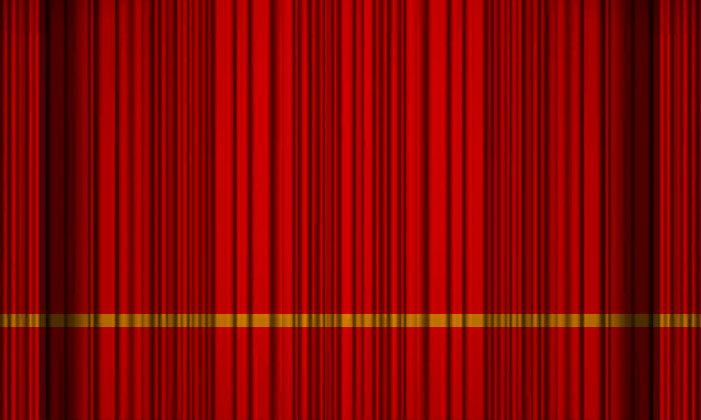 The series had great impact on film and TV music. 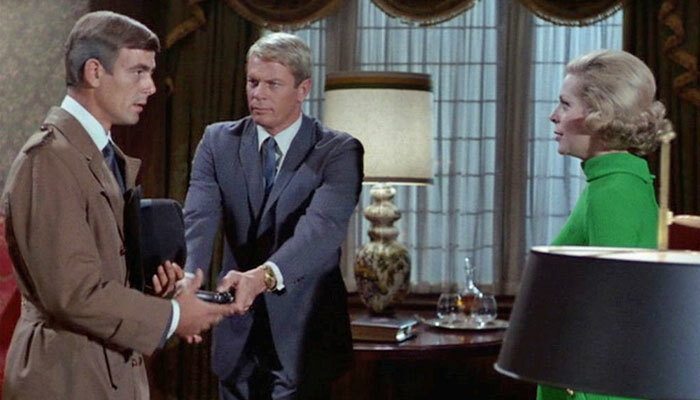 Before Mission: Impossible, a common compliment was along the lines of "the score worked very well but never got in the way or called attention to itself." 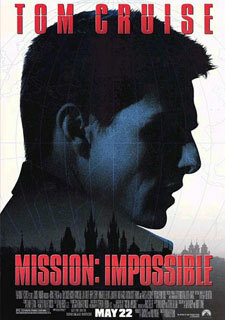 By contrast, Mission: Impossible was praised for the prominence of its music. One of the more controversial points of Geller's was his insistence on minimizing character development. This was done intentionally both because he felt that seeing the characters as a blank slate would make them more convincing in undercover work, and because he wanted to keep the focus on the caper and off the characters themselves. Geller would even veto the writers' attempts to develop the characters in the episodes. This is why, even after Geller was removed from the show, the IMF agents would only have one scene at Jim's apartment where they interacted, and they were rarely if ever seen in their "real" lives. As a side effect of this, cast turnover was never once explained on the show. 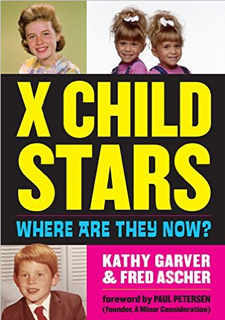 None of the main characters ever died or were disavowed in the original series, but a character could disappear between episodes without ever being mentioned or acknowledged. 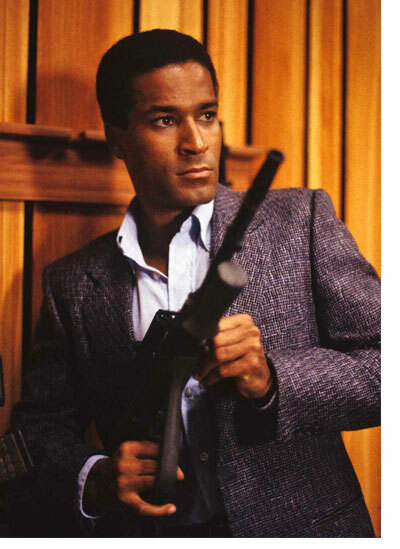 The 1980s revival, however, did kill off a main character on screen; Bruce Geller had died on May 27th, 1978 in a plane crash in Santa Barbara, California, so he was unable to potentially veto the decision. 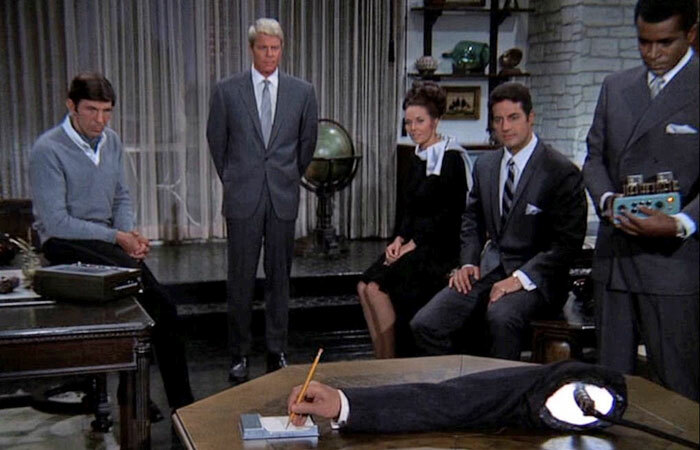 Mimi Davis is the only character whose recruitment as an IMF agent shown on screen, although such a scene was filmed for Dana Lambert (Lesley Ann Warren) and discarded. The 1980s revival otherwise stayed true to Geller's edict, with the occasional brief exception. 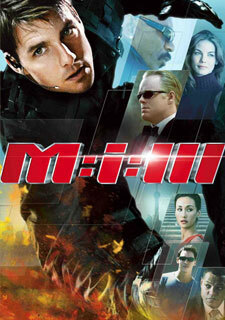 The producers of Mission: Impossible were sued for plagiarism by the creators of an ABC show called 21 Beacon Street. The suit was settled out of court. Geller claimed never to have seen the earlier show; Beacon Street's story editor and pilot scripter, Laurence Heath, would later write several episodes of M:I. 21 Beacon Street was an American detective television series that originally aired on NBC from July 2nd to September 10th, 1959. Produced by Filmways, the summer replacement series consisted of 11 black-and-white 30-minute episodes starring Dennis Morgan as private investigator Dennis Chase. Other cast members included Joanna Barnes as Lola, his aide; Brian Kelly as Brian, a law school graduate; and James Maloney as Jim, a scientific and dialect specialist. 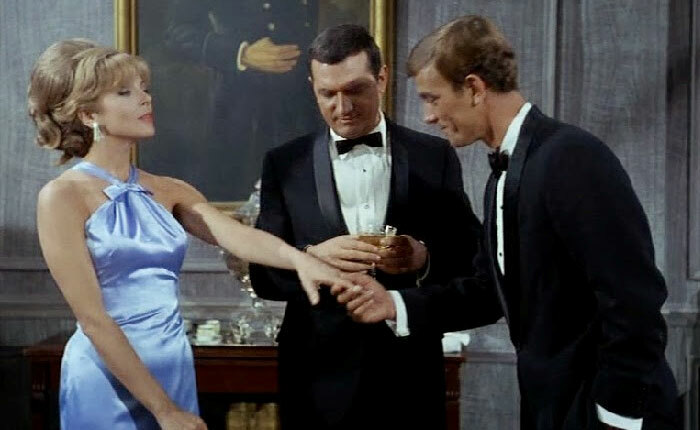 The tape scene is very similar to one described in the 1964 Nick Carter-Killmaster novel Saigon, published in December 1964 and repeated in the 1966 novel Danger Key. In the novels, secret agent Carter receives a package from his boss which, when activated, plays a tape-recorded message that self-destructs after playing once. Part of each episode's title sequence was highly unusual, as it was composed of a number of very short clips of key scenes from the subject episode. 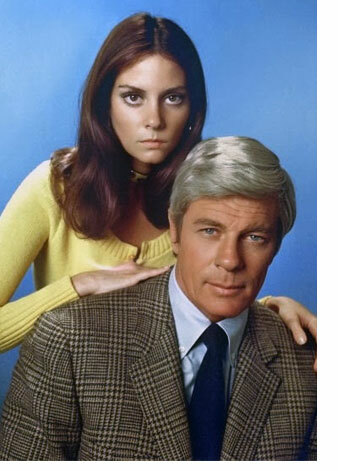 This was, and remains, very rare for series television. However, it was already being done as of the previous season on I Spy, which like Mission had the lighting of a fuse leading to it. 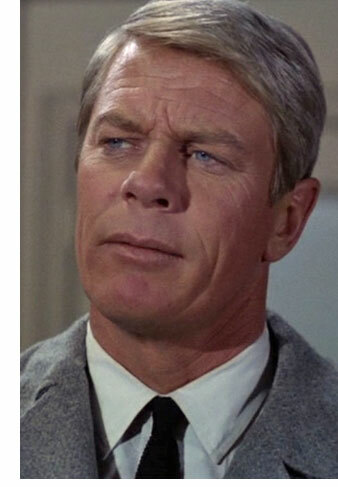 The hand with the match was, until sometime in the sixth season, that of creator Bruce Geller; in the revival series, the hand belonged to Peter Graves, who was shown holding the match. Several British teleseries produced by Gerry Anderson and his then wife Sylvia Anderson, the contemporaneous Thunderbirds and the mid-1970s Space: 1999 (which starred M:I alumni Martin Landau and Barbara Bain) among them, also did this. The reimagined Battlestar Galactica TV series also used this device. The clips in the opening sequence were chosen to showcase dramatic moments in the upcoming mission, such as moments of surprise, moments of violence, or equipment in use. In particular, the first clip shown was often someone getting punched and/or knocked out. For the first two seasons, the closing credits showed clips from that mission in freeze frame. 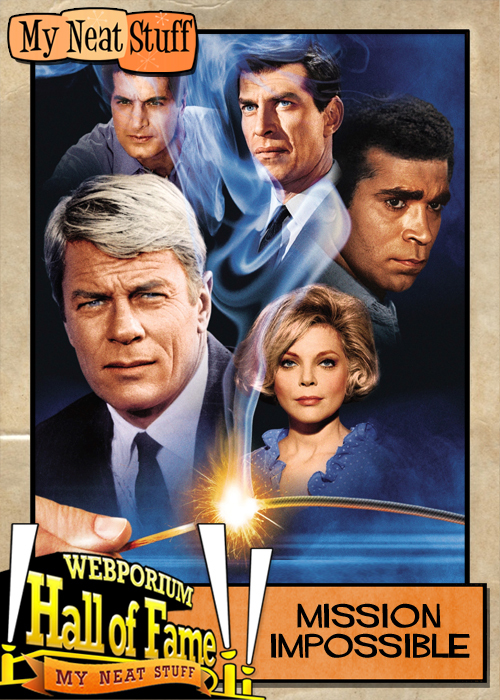 At the start of 1968, when Paramount took over from Desilu, the same clips were shown during the closing credits across episodes; later seasons eschewed that approach, featuring a freeze frame of the hand lighting the fuse. 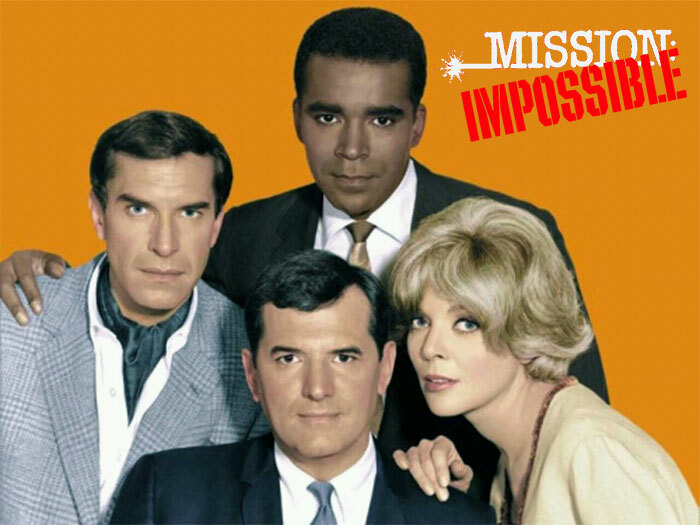 In 1980, media reports indicated that a reunion of the original cast was in the planning stages, for a project to be called Mission: Impossible 1980. Ultimately this project was delayed into 1983 (with the working title suitably updated repeatedly) before being cancelled altogether due to one plot after another being deemed inappropriate and unacceptable. In 1984, another proposed M:I reunion was to have been a theatrical film, titled Good Morning, Mr. Phelps (Mission: Impossible The Movie). Ultimately, the proposed large budget sank this project. The original plan was for the series to be an actual remake of the original series, with the new cast playing the same characters from the original series: Rollin Hand, Cinnamon Carter, et al. Just before filming began, the decision was made to rework the characters so that they were now original creations, albeit still patterned after the originals, with only Jim Phelps remaining unchanged. 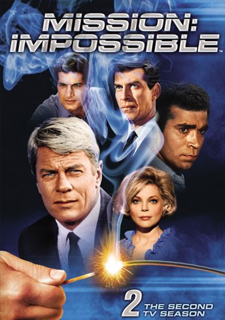 The original series formula was largely repeated in the second Mission: Impossible series of the 1980s, though the writers took some liberties and tried to stretch the rules somewhat. 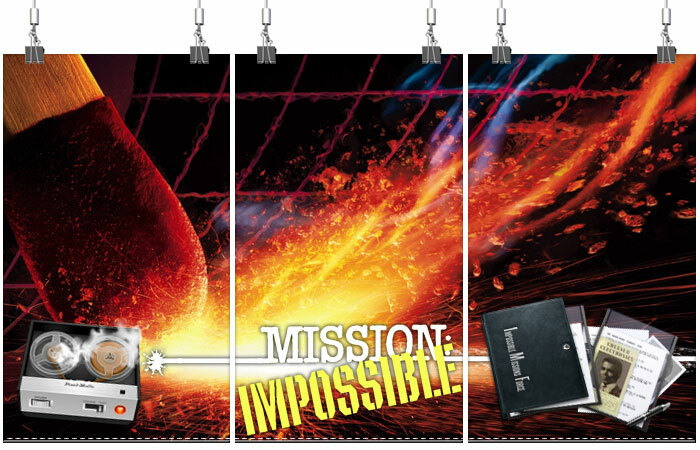 Most notably, by the time of the revival series, the Impossible Mission Force was no longer a small, clandestine operation, but larger in scale, with references now made to IMF divisions and additional teams similar to the one run by Phelps. One episode of the later series featured the only occasion in which a regular IMF agent was killed on a mission and subsequently disavowed. 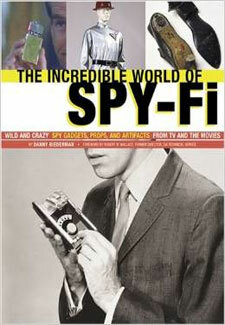 The 1980s series also had IMF agents using technology that nearly pushed the series into the realm of science fiction, such as one gadget that could record dreams, and another that allowed the IMF to change the surfaces (actually digital screens) of special playing cards to appear to be whatever cards the plan required. 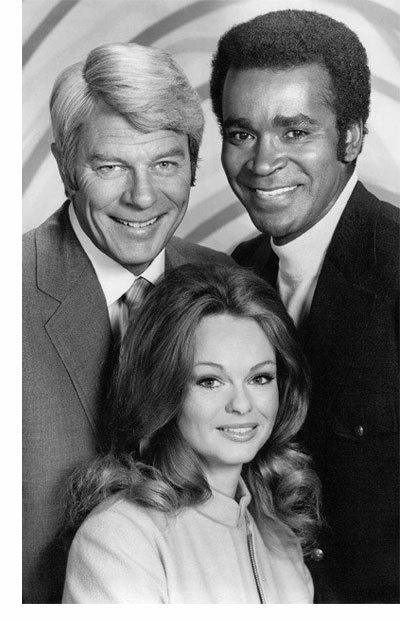 The revived series included special appearances by several 1960s70s IMF veterans, including Lynda Day George, and Greg Morris as Barney; Morris's son, Phil Morris (above), played Barney's son in the new series. Four guest stars from the original run all played targets here, Alex Cord, James Shigeta, and in the same episode, Barbara Luna and Australian Michael Pate. 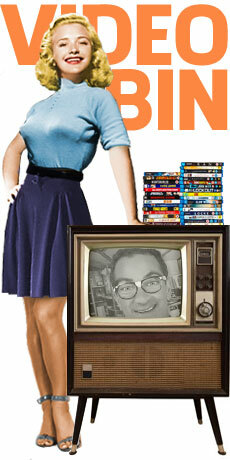 A feature film based upon the series was first proposed in 1978, then to be made for TV. 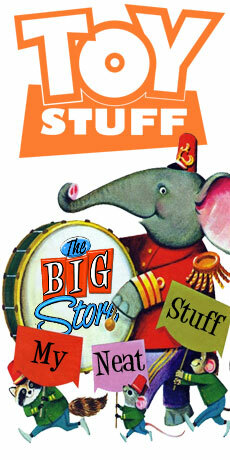 This was the first of several attempts through the 1980s, but no feature production materialized. 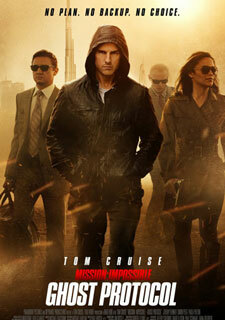 Later, a series of feature films were released, produced by and starring Tom Cruise. 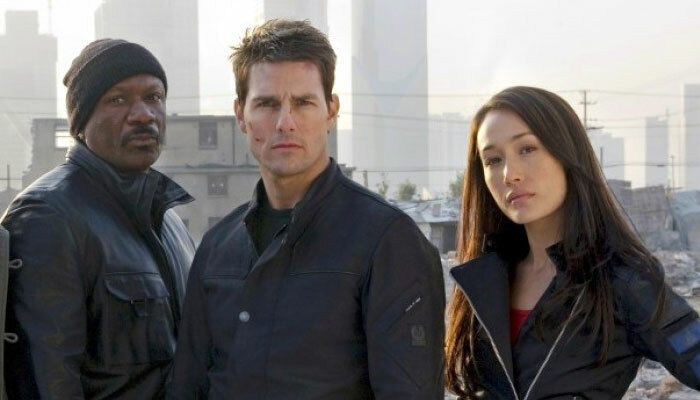 What heist film inspired series creator Bruce Geller to make Mission: Impossible?